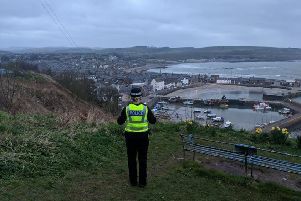 Officers in Stonehaven are appealing for information following a vandalism incident at a local cricket pitch. Between 4:00pm on Friday, June 10 and 10:30am on Saturday, June 11 a tarpaulin owned by Stonehaven Cricket Club, which is used to cover the cricket pitch at Mineralwell Park in the town, was vandalised. As a result of the vandalism the tarpaulin was torn, causing a low three-figure sum of damage. Constable Steven Inglis of the Kincardine & Mearns Community Policing Team based in Stonehaven, said: “This act of vandalism was entirely needless and has negatively impacted the local cricket club.